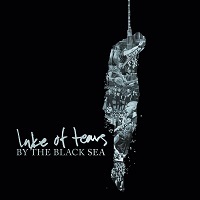 Sweden’s unsung doom/gothic metal entity Lake of Tears finally release their first live album since their 1992 origins, a 16-track affair appropriately titled By the Black Sea. 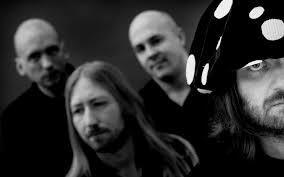 With eight studio albums to choose from, vocalist/guitarist Daniel Brennare, bassist Mikael Larsson, second guitarist Fredrik Jordanius and drummer Johan Oudhuis could have easily concentrated on their popular mid-period success with Crimson Cosmos and Forever Autumn, but the band willingly dip back into their early Black Mark days with “As Daylight Yields” from the Headstones debut and “Raven Land” plus “Sweetwater” from the follow up Headstones to the delight of the chanting faithful. The only album not given any airing is 2007’s Moons and Mushrooms – but with a wealthy of classic material at your disposal such as “Boogie Bubble,” “Cosmic Weed,” “The Greyman,” andthree3 songs off their last studio album Illwill (including my personal fave- the slower epic “House of the Setting Sun”) you can’t go wrong if you’ve been into the band for years. To those unaware of their sound, imagine a great amalgamation of psychedelic sounds with a gothic/doom base: if you love Tiamat, Sentenced, and a little bit of the 70’s Pink Floyd progressive genius to flavor the proceedings, Lake of Tears will find favor in your aural caverns. I thoroughly enjoy Brennare’’s soft-spoken song introductions, and genuine appreciation for the audience taking in their show- more bands could learn a thing or two from this restrained outlook. Live albums like this could often signal the end of one era and the beginning of something left field or fresh. 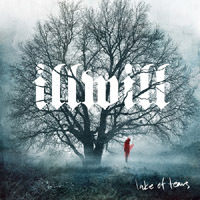 Somehow I don’t think Lake of Tears will be changing their formula up anytime soon- they feel content to churn out hypnotic studio albums on their own three-four year clip to keep their fans (and themselves) satisfied. What a dream it would be to see at least one North American live appearance for the band before they end. For now, By the Black Sea will be the next best thing.